You can now also follow on your question to your guests with a bottle of Chinese wine, which, equally surprisingly, is available on your local supermarket shelf at Sainsbury’s. 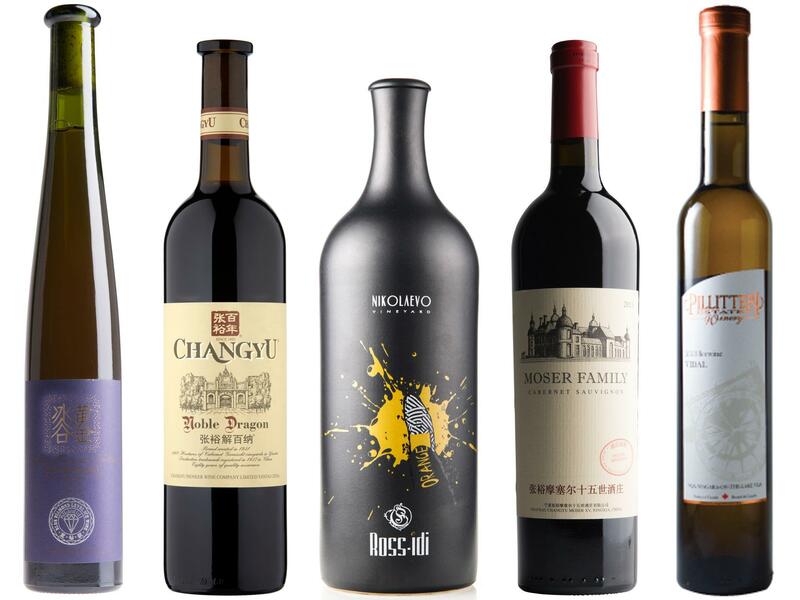 The Changyu Noble Dragon Cabernet Gernischt (£10 Sainsbury’s) is made mainly from cabernet gernischt, with some cabernet sauvignon and cabernet franc in the north-eastern coastal region of Yantai, where around 40 per cent of China’s wine production is based. Gernischt, grown in China since the 19th century, was originally believed to be a relation of cabernet franc, but more recent analysis has matched it exactly with Chile’s Carménère. The wine itself is rich, dark and chewy, with a rustic edge – and if you like Bordeaux style cabernet sauvignon based blends, you will certainly enjoy this with roast meats. The style should come as no surprise, since the Chinese have been hoovering up vast amounts of Bordeaux for many years now. Traditional merchants Berry Brothers and Rudd, who believe the quality of Chinese wine will eventually equal that of Bordeaux, also have a selection of Chinese wines: The Moser Family Cabernet Sauvignon 2013 (£29.95 bbr.com) is another Bordeaux clone, but bigger and beefier and really well made, because it was created with the help of well-known Austrian wine maker Lenz Moser in the region of Ningxia, south west of Bejing, which he believes compares to Mendoza in Argentina. But it isn’t all about meaty reds. The Changyu Noble Dragon Riesling (£10 Sainsbury’s) is a terrific iteration of the grape: on the right side of dry, with lovely pear and apple flavours, while the Changyu Golden Valley Ice Wine (£29 bbr.com) is pitch perfect dessert wine, with the grapes frozen when ripe, as opposed to botrytised (affected by a beneficial fungus), this is fresh, pure and as clean on the palate as, well, an ice cube. Made from the vidal blanc grape, of which more later. Do not, however, be tempted to match any of these wines with your Chinese takeway – they deserve better than that. What other wines can we find from unusual origins, that might make a change from our Kiwi sauvignons or red Riojas? Bulgaria and Georgia – like much of central and eastern Europe – have long traditions of making wine, not a lot of which has found its way to western Europe, due to a combination of both politics and quality – nor was it exactly high quality when it did. But now we can find cutting-edge wines such as the Orange Gewurztraminer Rossidi 2016 (£19 winebuyers.com) made in the Eastern Thracian valley of Bulgaria, from a grape mostly associated with off dry German whites. This is a “natural wine” with 30 days of skin contact, no added sulphites etc; although not officially classed as organic, it’s the next best thing. Dry, with very intense and spicy flavours of quince and almonds; an acquired taste, certainly, but you might find you grow to love it, with cured meats and hard cheeses. Georgia, as it now well known, is where some of the very earliest archaeological evidence of winemaking has been discovered. Now the tradition of using buried clay amphora to ferment the wine has been revived with fabulous results, such as the Tblvino Qvevris (£10 marksandspencer.com) another quince-flavoured skin contact orange wine made from the indigenous Rkatsiteli grape but much more gentle and less challenging than the Bulgarian, so suitable as an aperitif or with seafood canapes. Both should be drunk chilled. Israel, in contrast to its neighbour Lebanon, is not normally known as a winemaking country, but with an annual production of only 5,000 tonnes, it’s still a lot more than the UK’s 425 tonnes. Again, winemaking of course dates back to ancient times, although it was expanded in the late 19th century by the investment of Baron Edmond du Rothschild, of Bordeaux’s Chateau Lafite-Rothschild. Most winemaking is for internal consumption but is no longer focused entirely on bulk kosher wines and there are now a number of smaller newer wineries. Recanati dates from 2000 and most of its grapes are hand-picked, including this wine from the Judean Hills: the Recanati Shiraz, Petit Syrah, Carignan (£11 marksandspencers.com) is a full-bodied, rich and spicy red and will appeal to anyone who likes such rustic blends from the south of France – a fine match for any Mediterranean-style foods. Another country whose wines you will not find easily in the UK is Canada, which has a substantial winemaking industry, spread around the southern parts of this vast country and largely consumed domestically or in the US. It is mostly known for ice-wines, which compete well with dessert wines from all over the world and, like the Chinese ice-wine above, are made with frozen sweet vidal blanc grapes – a hybrid developed specifically for cold climates. For a brilliant example from one of the top producers from the Niagara region, try the apricot and lychee flavoured Pillitteri Estates Carretto Vidal Ice Wine (£12.99 laithwaites.co.uk) with any rich puddings. On the western side, the spectacular Okanagan Valley, which runs for 120 miles north to south in British Colombia, is Canada’s oldest and biggest wine region. It prides itself on being the most northern area in the world for serious wine making, with a large range of styles and wine varieties, helped by many microclimates. About halfway down is the small, biodynamic Okanagan Crush Pad winery, which makes a range of very individual varietal wines on soils they describe as “volcanic vomit”. You can find their wines at Red Squirrel Wines, including the Haywire Free Form Sauvignon Blanc 2016 (£35 redsquirrelwine.com) made with natural yeasts, no sulphites, five months skin contact and unfiltered, this is an almost savoury sauvignon, with muted tropical fruit and a rich depth of flavour very different any other sauvignon blanc you might have encountered. Not cheap of course, but an extraordinary wine from an extraordinary place. And like all these bottles, demonstrates the amazing diversity of wine-making around the world; think about that the next time you are tempted by a bog standard branded wine on your supermarket shelves.